Una voce poco fa, a setting by Cesare Sterbini, was composed by Gioachino Rossini in 1816 (E Major) and premiered the same year. This aria takes place in act I of his opera, Il barbiere di Siviglia. In 1816, year where Il barbiere di Siviglia, ossia L’inutile precauzione is premiered, Rossini, aged 24 years old has entered a period of incredible productivity and creativity. Between 1815 and 1823, he will produce no less than twenty different operas! Il barbiere di Siviglia is based on the first part of the tryptic written by the French writer, Beaumarchais, Le Barbier de Séville. The second part of the trilogy, Le Marriage de Figaro had been successfully adapted to opera by Mozart, with Le Nozze di Figaro, three decades earlier. The opera is famous for having been written in an unbelievably brief period of time, Rossini stating he had composed it in eleven days, scholars agreeing on a period of two to three weeks. Act I opens on the Count Almaviva disguised as Lindoro a poor student in love with Rosina, serenating at her window. Rosina is closely watched over by Bartolo, an old man, who intends to marry her once she is old enough. Figaro approaches and the Count asks for his assistance in helping him reach Rosina. Figaro advises him to disguise himself as a soldier to be housed at Bartolo’s house. In the meantime, Rosina is dreaming of Lindoro, from whom she has just received a letter. She expresses her feelings in her aria: una voce poco fa. Una voce poco fa originated was composed by Gioachino Rossini. The original lyrics are in Italian. The melodious note arrangement of Una voce poco fa ranges from pianissimo (very soft) mellow notes to forte (loud) notes carrying the player and the audience through an array of vivid emotions. The sweet soft beginning of the music piece gradually increases and decreases the loudness in smooth transitions. This music piece is decorated with phrases, slurs and an arpeggio. A perfect composition for piano players to try with an intermediate knowledge in music. Students can make use of this sweet music piece to improve their knowledge in music expressions, ornaments and sight-reading, while all music lovers could enjoy this brilliant extract whole-heartedly. 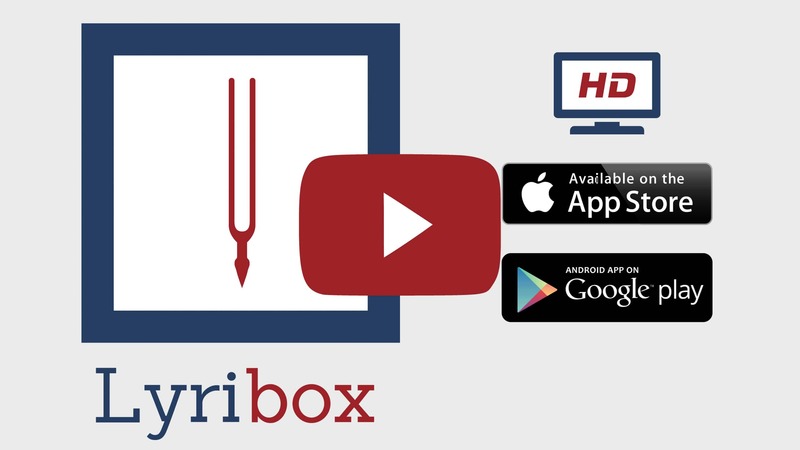 Una voce poco fa sheet music produced by Lyribox is clear, precise and is transcribed in English by Lyribox. By purchasing Una voce poco fa sheet music from us, you can simply sing along as you play this masterpiece on your piano. Unlike many sheet music sold online with all black notations, sheet music we offer you is marked using three distinct colors. While piano notation is illustrated in black, the music expressions and the lyrics are given in red and blue respectively. Get Una voce poco fa by G. Rossini sheet music from Lyribox today to enjoy and share this wonderful music composition with your friends and family. Una voce poco fa piano accompaniment is offered by Lyribox is mellow and smooth. It feeds the poem an underlying pulse, adding a sense of propulsion to it. Meanwhile the vocal line flows in a dreamy leisure manner forcing the audience into a calming and languid mood. The vocal line of Una voce poco fa by Lyribox has the potential to provide slight pitch support for the voice’s sometimes unusual intervals, enhancing the fullness of it. This accompaniment is not at all demanding. Using these rich Una voce poco fa accompaniments you could create one of the most brilliant performances that is pregnant with layers and layers of expressions. Purchase the Una voce poco fa piano accompaniment together with the vocal line accompaniment from Lyribox today!